Tyler’s mom came up with this delicious mix to put in cold-cut rollups. Labne is a thick, Lebenese yogurt that almost approaches a soft cream cheese flavor. It’s in the yogurt area of the grocery store. There's no need for cheese when you use this spread. 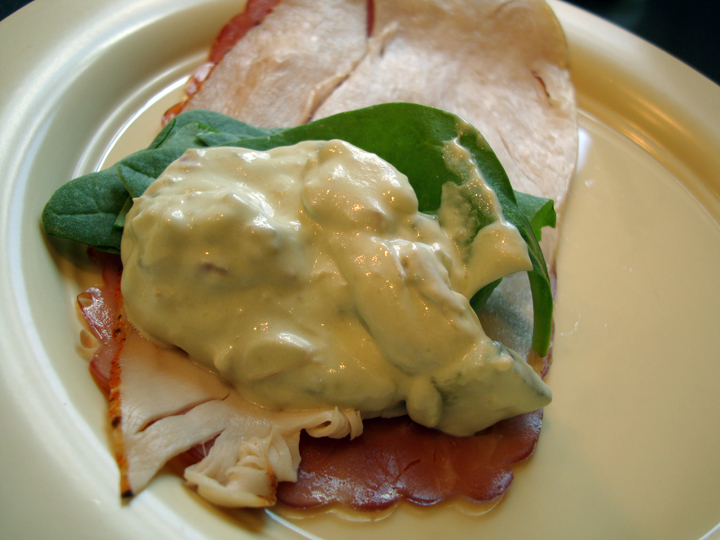 Mix all ingredients together, spread on cold cuts.